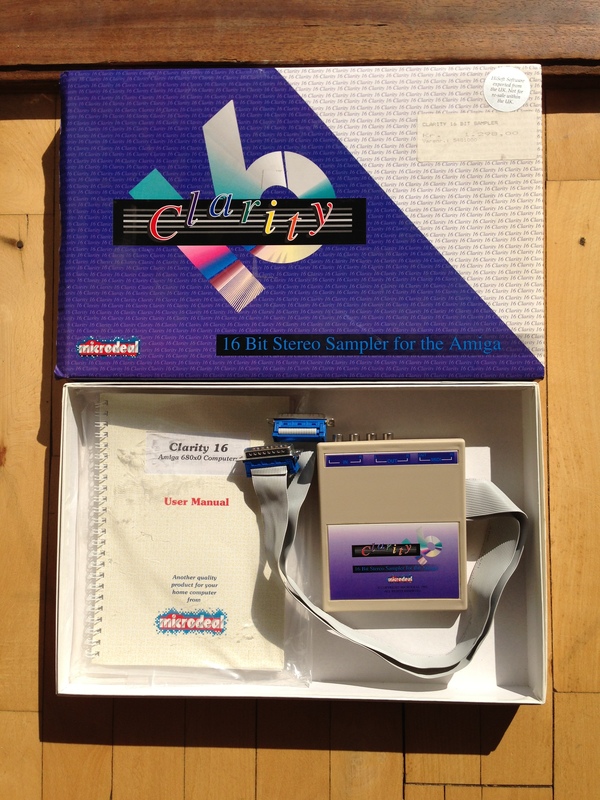 The Clarity 16, is a 16bit sound sampler and MIDI unit which connects to the serial and parallel ports of the Amiga. 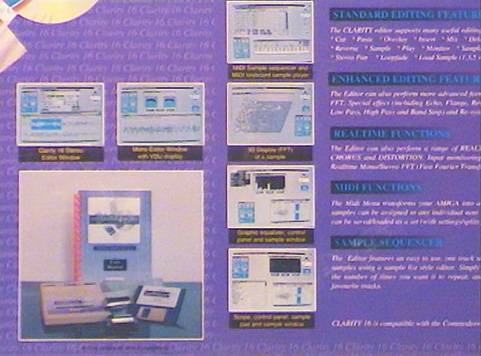 It's capable of sampling in both 16bit and 8bit in both stereo and mono. The unit can record sound from any suitable equipment sich as a CD Player or any Aux or Line level signal source via the stereo phono sockets. Stereo phono sockets are provided for connection to an amplifier or mixer. 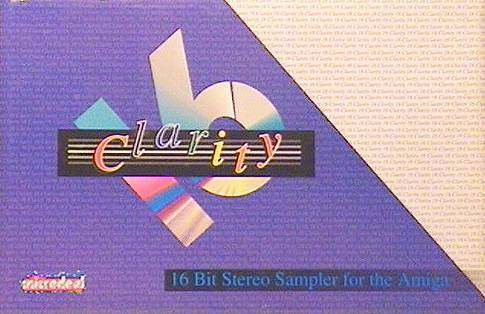 The original system was package with four disks, but some versions may have only been package with two disks. Page contributors: dalton3/Balance, Roman Eberle, Troels83.